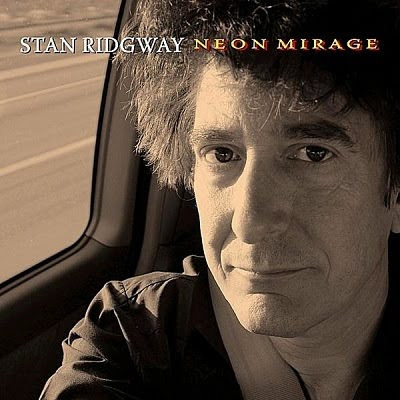 His songs are like character sketches of the human condition, and in a career spanning thirty years—first with Wall of Voodoo, the band most known for its 1982 hit, “Mexican Radio,” then as a solo artist—Stan Ridgway has produced a string of adventurous works that have endeared him to discerning critics and fans alike. On his latest, Neon Mirage, he turns introspective, addressing decidedly personal and, at times, existential themes. 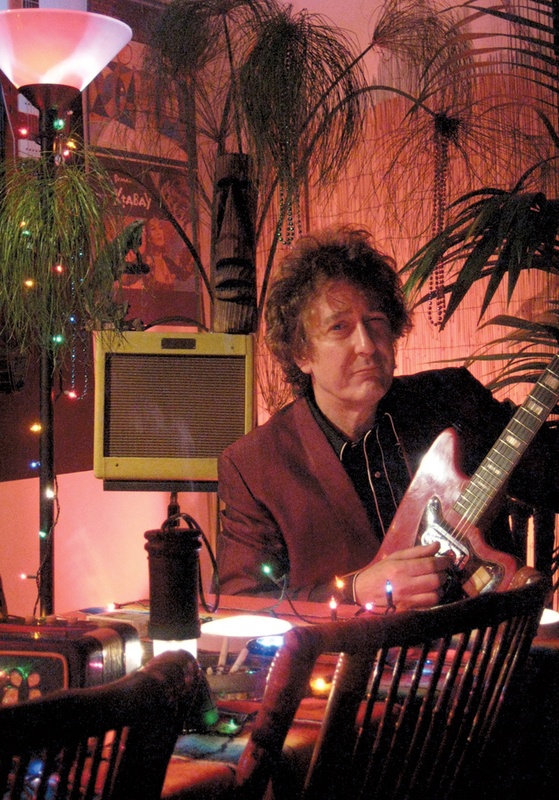 No easy task by any means, but Ridgway confronted it infinitely more so when in making the album his father died and his friend and fellow musician, violinist Amy Farris, took her own life. And while being aware of these losses isn't necessary to appreciate the album, listeners who are will find it all the more poignant. In the songs on the new album, there’s some looking forward. There’s a good deal of looking back. There’s not much certainty in between. Is anything really definite? I’m not really sure it is. It is for a moment and then things kind of move on. When I put songs together, I don’t really intend, “This is the way it’s all gonna be,” but when you do sequence a record you can bring in a bit of the author’s editorial. You kind of see what starts to balance things for you. Some songwriters will do that. They’ll have a whole album, but maybe there’s some piece missing. In this case I had several pieces missing for a while. And I went back and wrote some more to kind of balance it out for me. Do you ever surprise yourself with what you come up with? That’s the best place to be, when you can surprise yourself. That’s really the best place to be when you can get removed from yourself. Is it difficult to get to that point? I’ve practiced it. It’s what all artists want to do and get to because a level of self-consciousness is always stopping you. It’s the critic on your shoulder, just saying, “Maybe that’s lame. Maybe that’s not interesting.” Is it ever really done? I don’t think so. Most things are simply abandoned. It’s good to have a deadline. And then you just have to get done. Some things take a while and other things come right out. Is it ever a struggle for you to write? Some songwriters like having written a song—the accomplishment, the finality—but not the actual process, writing lyrics, all that. No, I wouldn’t say so. When creativity is right it shouldn’t be painful. It’s work, but it’s good work. A lot of it is therapeutic for human beings, I think, to be creative. That’s kind of our natural state. The making of this album was in part overshadowed by two significant losses in your life. Oh yes. Well, my father had been laid up for at least five years. That was very much of a long haul of up-and-down health issues, back and forth. [Losing] Amy Farris was pretty brutal and abrupt and sudden. She did suffer from... I guess you could say it was chronic depression. It takes a hold of a lot of people, probably more than we know…. Isolation is the killer. I don’t think human beings are really made to just sit in a cave and whittle sticks by themselves. A lot of it’s a mystery. I think everybody can say that they’ve had situations in their life where they’ve experienced some of that. I don’t think you can be human without experiencing it. Does what happened inhibit your ability to appreciate the music? No, the music really heals. If something is seemingly sad, at times that’s an echo of the way you’re feeling. It’s an affirmation of the way you feel. And so if you affirm your feeling, then you’re not bagging it. And what do they say about depression, that sometimes depression is anger suppressed? I agree with some of that. It’s a struggle. Who wants to get angry? So I use music as a healing kind of therapy for that, too, because it gets me out of myself. Your own music does that for you? Yeah, because music has its own personality and life and character within itself. I sometimes think of chords and notes as almost individual entities with their own characteristics. Are you always receptive to a lyric idea or to a musical idea? I’m always thinking, or unconsciously collecting, I guess. Not specifically saying, “Oh boy, I’m gonna use that for a song.” My curiosity is always there about what’s kind of going on that way. Language is interesting, the way people use it. Are there subjects that are too personal to share in a song? Sure, but these kinds of things have to be developed and run through, for want of any better word, your own taste. We really only have that at the end of the day, putting things together, creating things. At the end of the day you’re kind of thrown back on your taste. And whether your taste is in line with others, well, you can’t say. When I’m making something, I kind of unconsciously am thinking of an abstract audience or a group of people that—I may be wrong, but—I consider friends of mine. You have this audience in mind while you’re writing? How do you know when a song works? That’s hard. You don’t know. I really don’t know. I mean, sometimes, if I want to keep listening to the song—I usually demo things and record them. Sometimes a demo is actually a master—and I don’t grow tired of it, then I usually know that it might have something for me. It takes some time. Other things you know right away, that’s gonna be something. I’m sure you’ve had this happen where you’ve tried to say something in some certain way, and you really haven’t gotten it right as far as you’re concerned and you just can’t seem to change it. You can’t seem to find anything better than that. You might swap it out with something else, but somehow it just doesn’t ring right. In songwriting that becomes really something and all songwriters have fun with this, struggle with it. Because a song is not just words on paper; it’s the way the words sound as they’re spoken or sung and the melody attached with the sonority of the chords, orchestrations, other things coming in. Vowel movements, certainly. A lot of songs start that way, just inarticulate, emotional utterances. It’s shocking for some to know how something got there because at the end of the day that’s really what matters, the way it is when you finish it. When I was younger, I used to just want everything to be as original as I possibly could make it. I was very concerned about it sounding like this or that. You can paint yourself into a corner with that kind of originality because, well, you run out. Everything is built on other things. A link in a chain is a better way to look at it. Can you perceive any sort of arc to your songwriting over the past couple decades? When you first start writing songs you’re learning how to write. The euphoria of mixing words with other words and with music can really just be an end in itself. So when I started I was probably more of a sound sculptor than I was a songwriter. I enjoyed, like, “Whoa, that word with this word makes up a different picture in my mind. I don’t know what it means right now, but I’m gonna put that in there.” Those things are surreal. Once you kind of go through that, things start becoming a bit more specific until you finally arrive at a point where you’re interested in seeing how much of a story you can tell. And after having arrived at that, where it gets pretty specific and not too poetic, then you’re interested in actually going back to where you came from. You try to find a way to do them both, where you can mix up the specific with the poetic. You never really get done with songwriting. It’s one of the joys or perks of it. There’s always another chance. They’re small, encapsulated sound sculptures. So once you get done with one, you can say, “Well, I did my best with that. I’m just gonna let it float out there now. I’ll do another one because there are things I didn’t accomplish on that one that I would like to try out." And that’s what keeps you going? Yeah. There’s always another chance. You can always write another song. There are always different things to apply to them. So it never really ends. 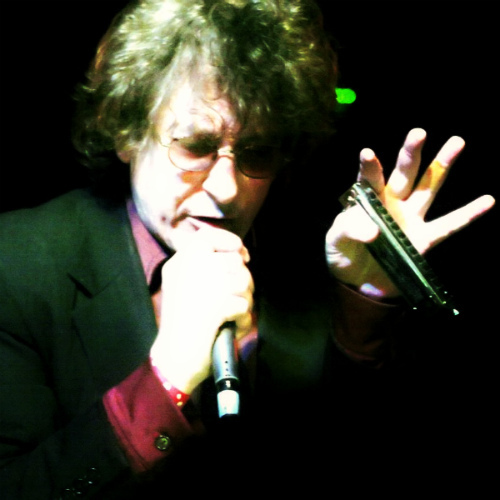 For more information on Stan Ridgway, including upcoming tour dates, please visit the artist's official website.